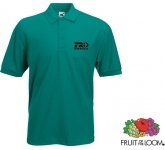 Smarter promotions with promotional polo shirts! Running a business doesn't just contain scheduling meetings and signing contracts. Promotion is key, and if you're running a business, you'll know how important it is. Most companies use different products to promote themselves. Some do it with printed pens and pencils, as well as similar stationery. Other companies choose to give away plush promotional mugs or printed keyrings, or small gadgets such as torch keyrings. Lighters are also a popular choice, and it's also common to see promotional bottle openers or even pocket knives. And, of course, there are also low cost options such as promotional message bugs and printed badges. 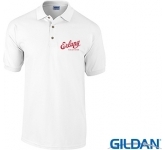 However, we think you will do better in selling or distributing promotional polo shirts carrying your important logo. 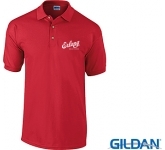 Why choose promotional polo shirts? Before we move onto the polo shirts themselves, let's discuss why the possibilities for promotion are endless with promotional clothing. Yes, you will use a company branded pen, and yes, you will use a lighter if you smoke. However, not everyone carries a pen, and there are plenty of business people who do not smoke. But everyone wears clothes. Whether you're going out for a jog or visiting a friend, they will most likely notice what you're wearing first. So having an item of branded clothing will help a business. Someone will become interested, they will ask the wearer "what is this, where did you get it," etc. And before you know it, more customers and fans of a product begin popping up. It's worth mentioning that it's not just polos shirts and promotional printed t-shirts that can help your brand visibility. Caps, hats, work shirts, sweatshirts, fleeces, hoodies, light jackets, vests, even socks - all of those can be used for promotional merchandise. Naturally, the shirt will help you the most, but using other clothing items emblazoned with your logo as well won't hurt. Take that as an unofficial suggestion: use more than just shirts. What are the benefits of promoting with embroidered polo shirts? 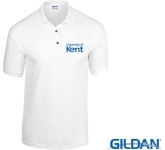 Of course, when we talk about promotional polo shirts, we specifically mean corporate embroidered and printed shirts. Both have their own unique benefits and flaws, but you can use either type for your business or organisation in order to increase brand awareness and ensure that your message gets noticed in style. 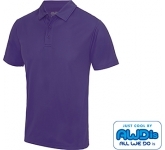 Speaking of design, each polo shirt is made of harder, tighter material. Regular shirts, on the other hand, are usually cotton or linen, and they tear quickly. Not to mention that logos fade quicker, or just tear off easily. Now, we do have to stress that this benefit applies to regular shirts as well, but polo shirts still win out. 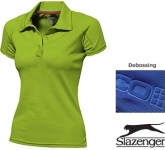 Printing or embroidering your logo on a strong, good-looking polo will attract lots of new buyers. You get free advertising which actually looks more professional. 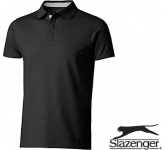 Yes, a regular t-shirt can promote your brand, but when a different business sees someone wearing a nice polo shirt with your logo embroidered on its chest, they will automatically think you're more professional than your competition. It pays to shell out a few extra dollars for decent shirts. 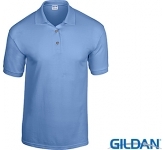 Companies tend to use work shirts as uniforms, and promotional polo shirts are no different. However, if you've been to a fast food place and seen a worker wearing a regular work shirt, you know how saddening it can look. Now picture a worker in a company branded polo shirt. As we stated earlier, a polo shirt will make anyone feel valued and important, even if it's just a piece of low cost promo material. 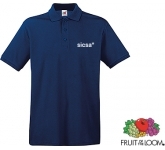 Providing your workers with good-looking polos will significantly boost morale, make them feel happier and increase productivity. Regular shirts can be uncomfortable, poorly made, or just look plain boring. You eliminate all of those with stylish polo shirts. In fact, if you provide your workers with spares, they might wear them outside of the office, in their free time. Right there you have more free advertising, even if it is coincidental. But that's just workers. What about you, the business owner? Well, wearing a regular shirt at events will make you seem less professional than your competitors. 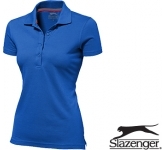 In a quality corporate branded polo shirt, you look fit for the challenge, high-energy and ready to dominate the market. Not to mention that you get to pick your designs. Once you get that professional design down, you will get lots of positive feedback from other businesses and customers. Everything we've listed above was about the professional benefits of polo shirts. However, they have a purpose even beyond that. Imagine going to a public event or a show wearing one! You can get customers and business partners in the least likely of places. On top of that, you can use them at universities, schools, conferences, and even clubs. That's right - your brand can find its way amid club-goers and party people, all thanks to a polo shirt. Public events such as these give you plenty of chances to promote yourself. However, they also provide plenty of customers. Make sure to have promotional polo shirts on you, so that people can buy them. Even if they don't immediately use your service or product, you will earn some money from the sales. On top of that, you'll be getting more free advertising when that person wears a polo shirt with your logo on it. 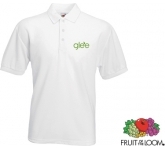 As you can see, using custom embroidered or printed polo shirts for your business comes with many benefits. Both you and your workers will look sharper and better, and your business will come off as even more professional than it already is. Furthermore, you will stand out aesthetically both within your field and with your potential customers. On top of that, you get lots of free advertising and an increase in revenue in the future. We offer a variety of printing options on our vast range of polo shirts from screen printing and embroidery right through to the very latest in UltraHD print technology allowing us to reproduce full colour images and logos to a standard most suppliers can only dream of. 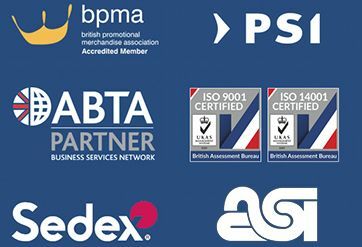 So, if you are looking for low cost, budget, value or cheap printed polo shirts, and find the same product cheaper, with the same print specification and turnaround, just let us know and we will match the price and back it with our industry Award Winning Customer Service - that's our guarantee!! For additional information on how corporate clothing could be the perfect fit for your business, why not contact us and have a chat to one of our dedicated account managers who will be happy to advise you further.